2. Find a supplement that contains both Beta Hydroxybutyrate (BHB) and Medium Chain Triglycerides (MCT). Studies shows combining both BHB and MCT raise blood ketone levels higher, for longer. Yet, most ketone supplements on the market only contain 1 or the other due to the high cost of manufacturing these ingredients. 3. Great for Fasting! Use in the morning for energy, satiety and cognition in place of breakfast. You can also “stack” with your morning coffee for superior mental and physical energy. Adding caffeine raises blood ketones, too! 4. Use anytime to support your intermittent fasting regimen. Intermittent fasting benefits include better insulin sensitivity and weight management. We've also added Cinnamon to KETO AF SuperFuel, not just for flavor, but because studies have shown improved insulin sensitivity, reduced blood sugar levels, as well as a reduction in triglycerides, LDL, and total cholesterol levels. 5. Use in a fasted state in the morning for your pre-work out drink. Many exercise in a fasted state because they want to accelerate fat loss, or they don’t feel well exercising on a full stomach. But fasted cardio or fasted weight lifting can be associated with excess cortisol levels or a lack of power. Additionally, excess cortisol is synonymous with retaining fat. One potential solution is to try exogenous ketones as a cleaner, less oxidative energy source than carbs. It will help speed the metabolic switch from burning carbs to burning fat. 6. For those switching from a carb diet to a ketogenic diet, the transition is characterized by a so-called “keto fog” or “keto flu”. Your body hasn’t yet made the switch from burning carbs to burning ketones, so you have a low-fuel problem. Typically you feel lethargic and cognitively cloudy. To bridge this transition, use a ketone supplement to quickly refuel with clean ketone energy. 7. Not just for the full 100% Ketogenic diet alone. For low carb diets, try exogenous ketones as a non-carb energy source that can keep energy levels up, blood sugar regulated and fewer hunger signals. This may help limit carb consumption. 8. In the fitness world, “cutting” most often means near elimination of non-vegetable carbs from the diet. At the peak of cutting, you can be exhausted and cognitively “foggy.” Exercise is difficult, at best. BHB and MCTs can rejuvenate your mind and body, allow you to exercise at a high level, and keep you shredded. 9. Use in meal replacements. MCT helps regulate blood sugar, satiate, and provide brain energy in the form of ketones. 10. Try mixing a flavor like KETO AF's Cinnamon Latte in coconut milk, almond milk, or with your morning coffee! Ketones as a Source of Energy. It is a common misconception that glucose is the most efficient source of energy for the body. While it may be the most readily available, particularly among people in the Western world, it is not necessarily the best energy source. In fact, the brain runs better on ketones than glucose. Not only are ketones an efficient source of energy for the brain, but they can also be beneficial for athletes. It is often assumed that carbohydrates are the best source of fuel for endurance athletes and bodybuilders because they can be accessed easily and burned quickly. 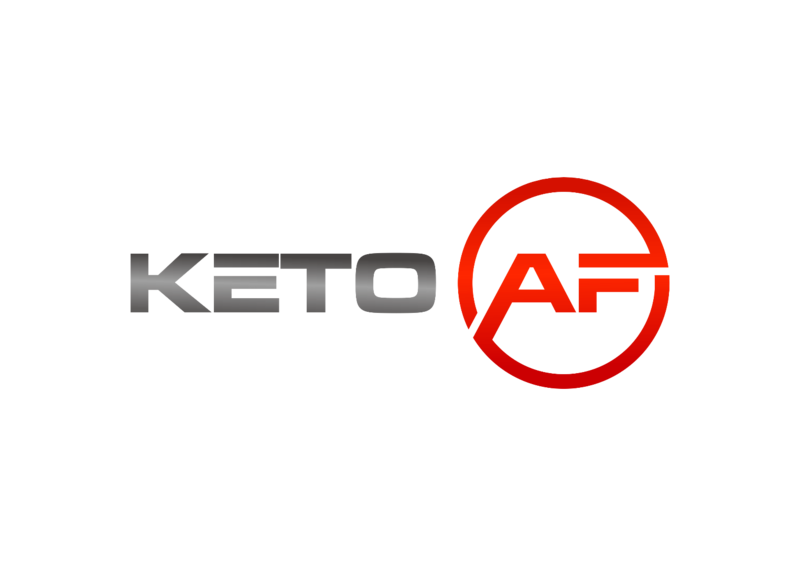 Research suggests, however, that the body can become keto-adapted - it can become efficient in burning stored fat and ketones for energy to fuel even the most extended and strenuous workouts. In a 2016 study published in the journal Metabolism, endurance athletes were asked to follow a ketogenic diet for 20 months. The results of the study showed that these athletes burned 2.3 times more fat than athletes following a high-carb diet during a three-hour run. The study also revealed that the rate of glycogen use and repletion both during and after the run was remarkably similar between the low-carb and the high-carb athletes . This is a perfect example of the body becoming keto-adapted and learning to burn fat for fuel just as (or more) efficiently as glucose. Another study published in the Journal of Applied Physiology supports the theory that fat provides a better source of energy than carbohydrates for low- to moderate-intensity exercise . 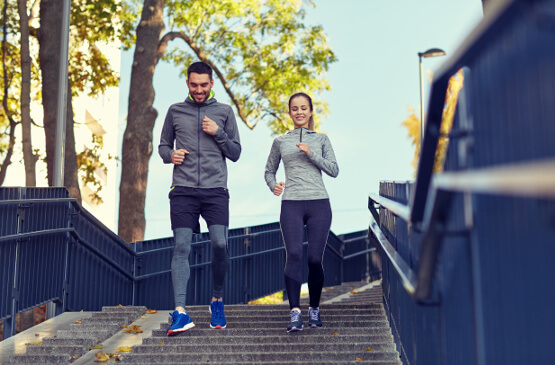 A third study showed that athletes following a ketogenic diet burned fat at up to 70% of their maximum intensity during exercise while athletes following a high-carb diet burned fat at just 55%. 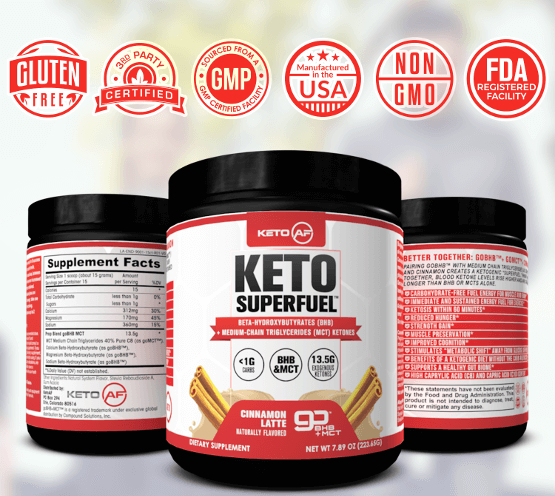 Do Exogenous Ketones Really Work? Before you consider taking exogenous ketone supplements, you should examine the product itself to determine whether it works and how. The results of a 2016 study published in Nutrition & Metabolism showed that 28-day administration of ketone supplements was correlated with a rapid and sustained elevation of BHB levels as well as a reduction in blood glucose and no negative change to lipid biomarkers. In a 2017 study involving 15 participants, ketone ester and ketone salt beverages were shown to elevate blood BHB concentrations, though the effects wore off after 3 to 4 hours. A 2016 study published in Cell Metabolism tested the metabolic effects of a ketone ester beverage on athletic performance in Olympic cyclists. The results showed an increase in the distance the cyclists were able to bike as well as their speed. How Do You Use Exogenous Ketones? The exact timing for exogenous ketone supplements will depend on the intended purpose. If you're looking for a quick energy boost, take the supplement in the morning on an empty stomach - the resulting energy boost should last you a good 4 to 6 hours. If you are taking ketone supplements for energy to fuel a workout, take it about 30 to 45 minutes before. If you want to harness the fat-burning benefits of ketone bodies, you can take an exogenous ketone supplement after consuming a very carb-heavy meal to help your body return to a state of ketosis as quickly as possible. If weight loss is your goal, you can take the supplement daily, and you can also try pairing exogenous ketones with intermittent fasting to maximize your fat burn and weight loss. 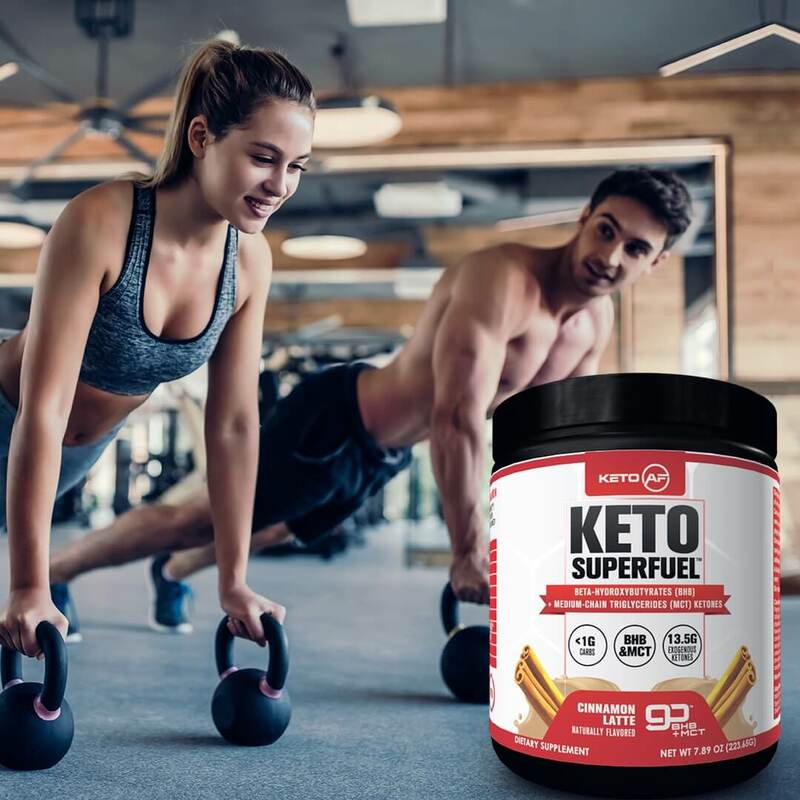 Though exogenous ketones can certainly boost your results and help you enter a state of ketosis more quickly, they should not be used as a crutch. In order to reap the maximum benefit from ketosis, you should commit to and follow the ketogenic diet as closely as possible. BHB + MCT + Cinnamon Superfuel! Very happy with Keto AF. I was looking for a product with both BHB and MCT, and this fit the bill perfectly. The cinnamon is way better than flavors of other similar products I've tried. I usually have it in coconut milk or in my coffee so the cinnamon is ideal. Plus, the cinnamon has many other additional benefits that other keto superfuels don't have. 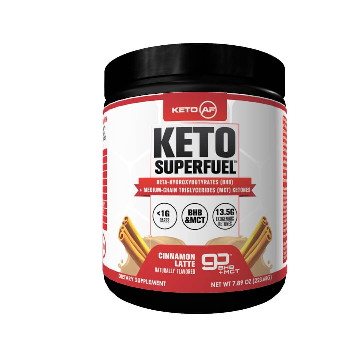 Overall, this is a great product for someone looking for Exogenous Ketones. I will be ordering this again! Cox, Pete. "Nutritional Ketosis Alters Fuel Preference and Thereby Endurance Performance in Athletes." Cell Metabolism. Kesl, Shannon. "Effects of Exogenous Ketone Supplementation on Blood Ketone, Glucose, Triglyceride, and Lipoprotein Levels in Sprague-Dawley Rats." Nutrition & Metabolism. 2016; 13(9). Stubbs, Brianna. "On the Metabolism of Exogenous Ketones in Humans." Frontiers in Physiology. 2017; 8: 848. Volek, JS. "Metabolic Characteristics of Keto-Adapted Ultra-Endurance Runners." Metabolism. 2016 Mar; 65(3): 100-10. Volek, JS. " Rethinking Fat as Fuel for Endurance Exercise." European Journal of Sport Science. 2015; 15(1): 13-20. Brooks, GA. "Balance of Carbohydrate and Lipid Utilization During Exercise: The Crossover Concept." Journal of Applied Physiology. 1994 Jun; 76(6): 2253-61. © Copyright KetoAF 2018. All right reserved.